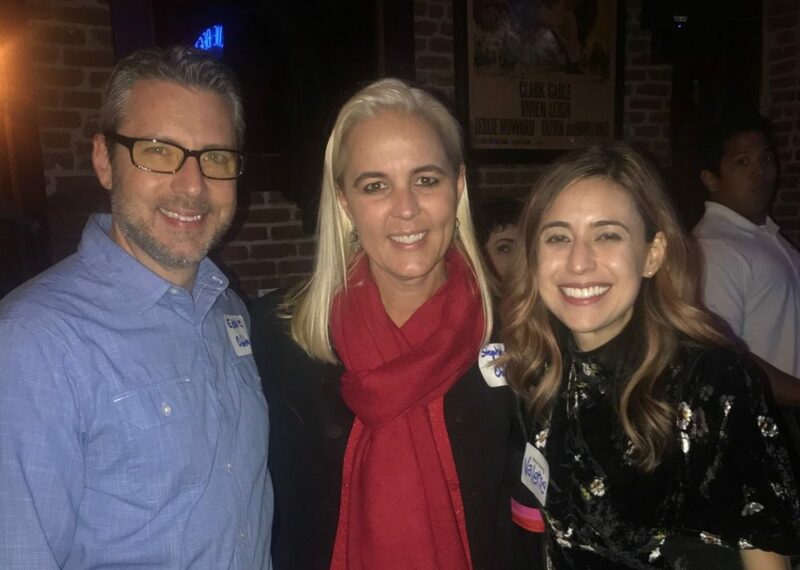 A good time was had by all at the OCIEA Holiday Mix & Mingle Networking Event on December 11, 2018 at The Blue Beet in Newport Beach. 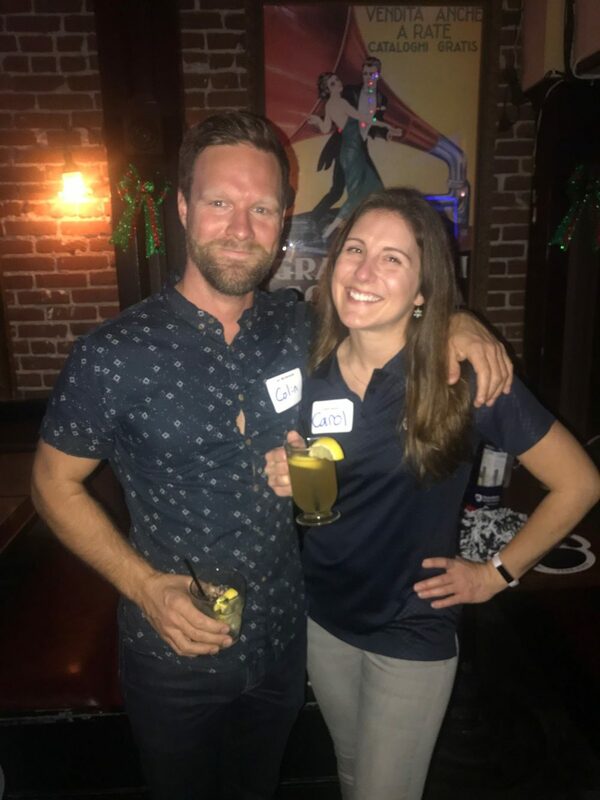 OCIEA Board Members and chapter members welcomed many new faces to the fold as the networking opportunity was a draw for many local alumni to attend their first OCIEA event. The event was deemed a success as many attendees appreciated the desire to deepen their business networking opportunities in Orange County. For the first hour of the event alumni mingled and enjoyed cocktails including the “Grilled Stickie Martini” garnished with grilled stickies flown in from State College. The chapter gave away a number of raffle prizes and three lucky alumni won prizes sponsored by Penn State Alumni Career Services. During a brief networking presentation, the OCIEA chapter emphasized the chapter’s mission to support current PSU students with internships and new grads with job opportunities. 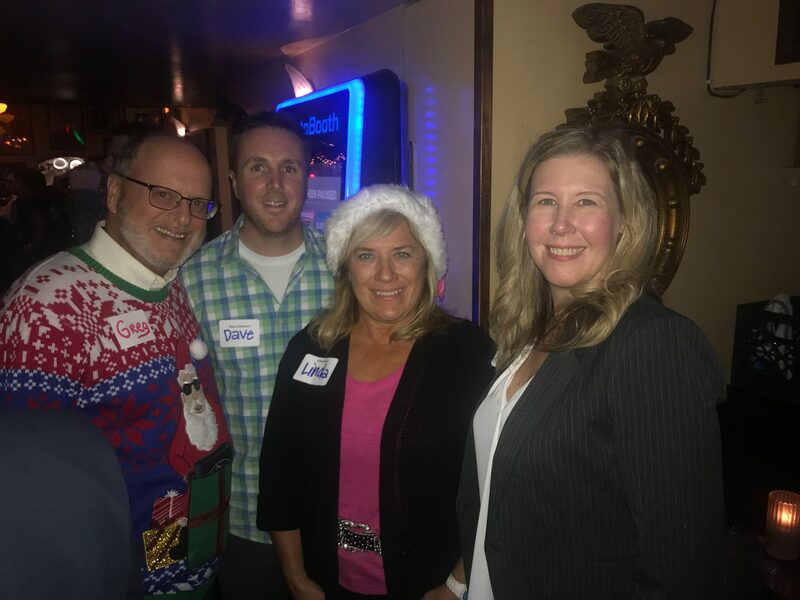 After the networking presentation, the room quickly transitioned to a holiday party filled with good spirits and friendship. Alumni of all ages enjoyed music from a local blues band late into the evening. 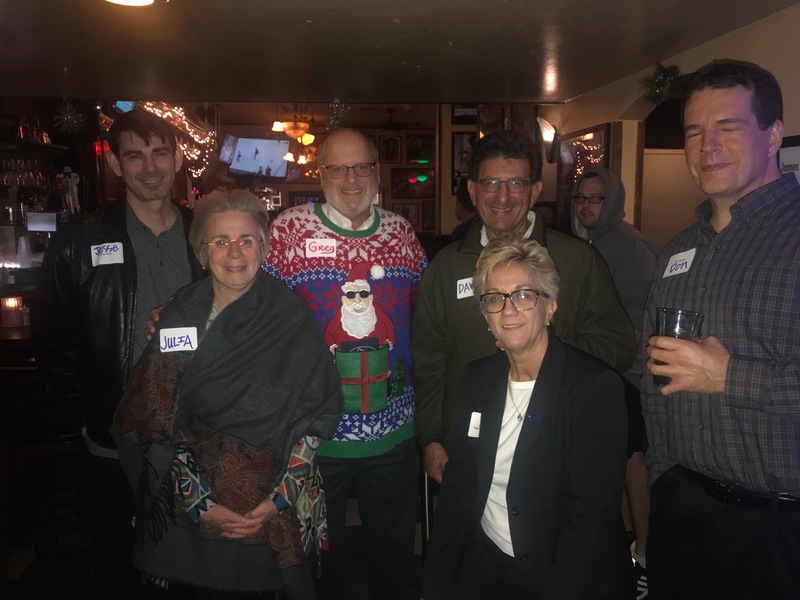 The spirit of the holidays combined with alumni connections created the perfect mix for new friendships and connections. Throughout 2018, our chapter increased efforts to maximize networking and professional development opportunities within the chapter. 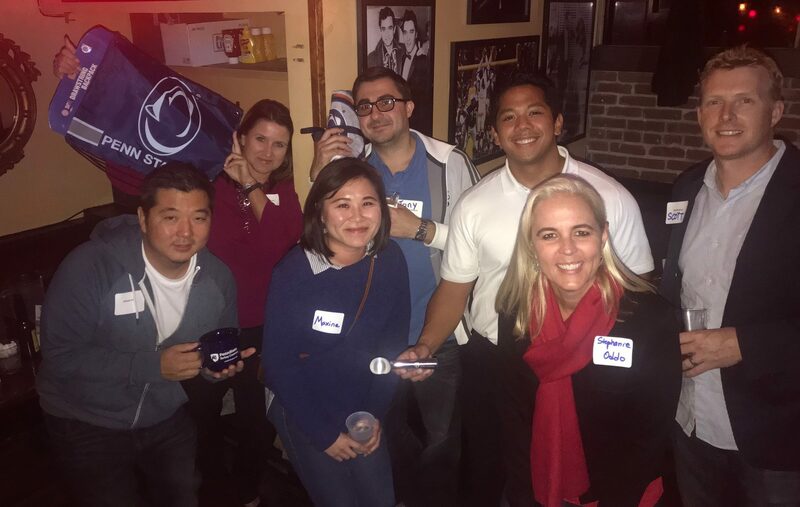 OC PSU is looking forward to adding a series of professional networking events to its 2019 calendar. We can’t wait to see you there! Stay in Touch with us in 2019! Download the Tassl app (iTunes & Google Play) and keep a look out for quarterly networking events in 2019. In addition, the Tassl app allows alumni to register for events including webinars hosted by PSU Alumni Career Services. Join our LinkedIn group to connect with local alumni. Join LionLink to connect with Penn Staters and seek career advice from alumni in your field. From around the country. LionLink offers mentorship opportunities for both mentors and mentees. 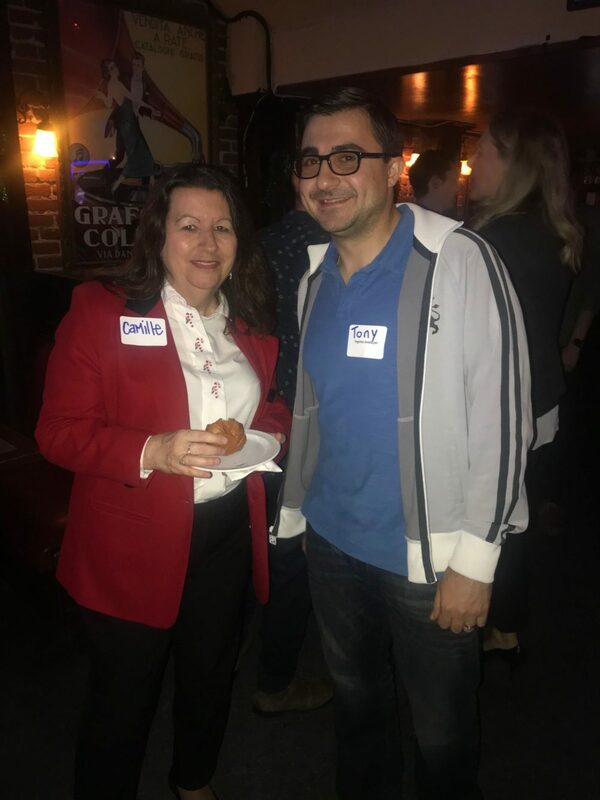 Please contact OCIEA Board Member Anna Bryan with your feedback on the December 11th event or any ideas for future events in 2019.